Recently, MASU president Emma Miller and I had the opportunity to attend the Canadian Alliance of Student Associations (CASA)’s Advocacy Week. 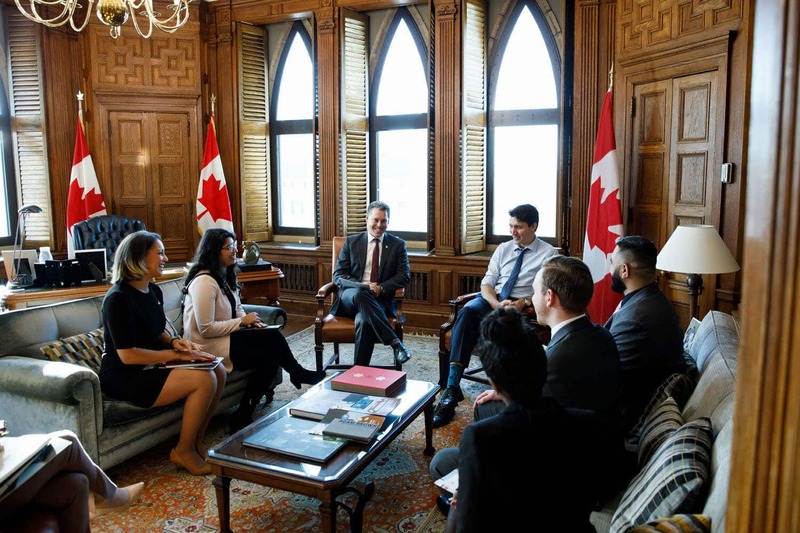 We travelled to Ottawa where we met with several key politicians and stakeholders to discuss our recommendations for improving the post-secondary student experience in Canada. CASA is a non-partisan, not-for-profit national student organization, established in 1995. CASA represents 280,000 students through undergraduate, graduate and polytechnic associations across Canada as it strives to advocate for accessible, affordable and high-quality post-secondary education. The Mount Allison Students’ Union (MASU) has been a member of CASA since its renewal in 2010, which was passed through a referendum after a temporary leave. Federal advocacy is a key priority for MASU as we work to improve the post-secondary experience for our students. It is within the mandate of the vice-president external affairs to act as the primary delegate, while the president acts as the secondary delegate at the CASA table. This year, as the vice-president external affairs, I was elected to sit on the board of CASA as the director of equity, diversity and inclusion, which resulted in Miller becoming the primary delegate and the voice for the Mount Allison students. CASA Student Advocacy Week provided students’ union delegates with the opportunity to speak about everything from graduate studies to international student support. During Advocacy Week, which this year was held from Nov. 26 to Nov. 30, Miller and I participated in bringing fresh ideas to Parliament Hill. This year, the week included meetings with 145 ministers, members of Parliament, senators, post-secondary stakeholders and the prime minister himself. In the meetings, Miller and I, along with the rest of the CASA delegates, brought forward six recommendations. In the 2018 budget, the government committed to investing $5.5 million over five years to combat gender-based violence on campuses by creating a framework that prevents campus sexual assault. CASA recommended that the government instead create a standard through the Standards Council of Canada which would tell colleges, universities and polytechnics across Canada the minimum services they are expected to provide to prevent and handle cases of sexual violence in the best manner possible. Over the years, the government has continued to strengthen youth employment. However, many post-secondary students are still not able to access many employment opportunities. This Advocacy Week, CASA has begun to advocate towards 100 per cent work-integrated learning (WIL) opportunities by recommending that the government invest in expanding the Student WIL Program to include opportunities in non-STEM (science, technology, engineering and math) fields such as business, humanities, arts, social sciences and education. When it came to international students, CASA recommended that the government exempt post-secondary institutions from Article 91 – which states that only authorized representatives can advise individuals on immigration matters – so that their staff can provide guidance and support for international students as they navigate the immigration system. Additionally, CASA advocated that the government modify the study permit to allow international students to participate in full-time WIL placements. As more students strive towards pursuing graduate degrees, CASA recommended that the government creates an upfront, non-repayable grant for graduate students. Finally CASA and its partner, Quebec Student Union, recommended that the government increases funding in student-led research programs through the Tri-Agency (a conglomerate of the three Canadian government research-funding agencies) to give students more autonomy in their innovative research ideas. The federal government shows openness and engagement towards championing student issues, and we witnessed this during the annual CASA Advocacy Week. A lot of support was demonstrated from members of the cabinet, MPs, senators, leaders of the opposition and stakeholders, which meant CASA had the opportunity to present the recommendations directly to the prime minister and minister of youth, Justin Trudeau. Trudeau not only attentively listened to our recommendations but also assured us that young people’s voices are being heard and that there is already progress being made on some of our recommendations. For more information about CASA’s Advocacy Week 2018, visit casa-acae.com.